Pacer is an sport fitness app. Like most similar fitness apps, Pacer offers people personal fitness management services and a large number of sports videos, and also helps record the real-time data of their fitness activities. And in this prototype case, a special-shaped icon located in the middle of a Tab Bar component in the bottom has been set. You can easily get that easily by stacking Circle components in the Tab Bar component. And, here, share a tip of the Tab Bar component: it will be much easier and faster to use “Icon and Label” component instead of using“Icon” and “Label ” separately. Let’s see it! 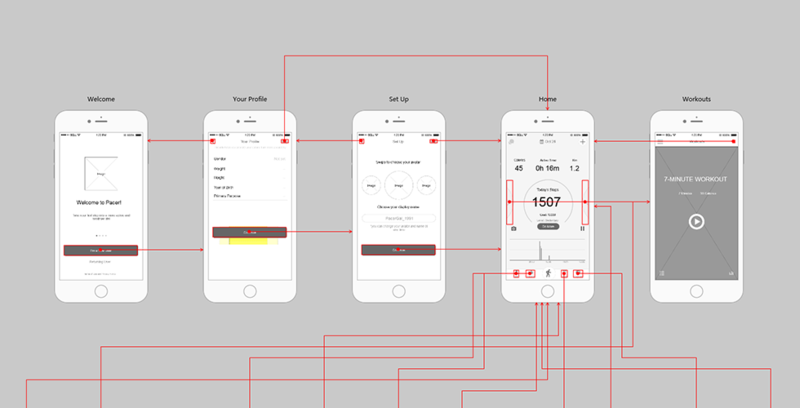 Pages of this prototype: Welcome, Your Profile, Home, Me, Track a Run and Trends, etc.